Lakeside haven was established in 1996 by Gwen Maynard. Gwen started out with the lake house with a two bed room apartment down stairs with a walk out to a porch overlooking the Shadow Lake. Also Gwen rents out rooms, on the first floor, by the day or week. Gwen also serves up a beautiful country breakfast, and a warm welcome to all. In the summer mouths Gwen now rents all her places by the week. (June 1 - September 1) Gwen has several families return each year to have a week of fun. There are kayaks, canoes and a paddle boat to cruise around the calm lake. For the swimmers, there is a raft out front to swim to for a plunge. All places have Wi-Fi and satellite television, along with rights to the beach front. Lake House has the main living quarters on first and second floor. There are three bed rooms, 2 baths and a fully equipped kitchen. 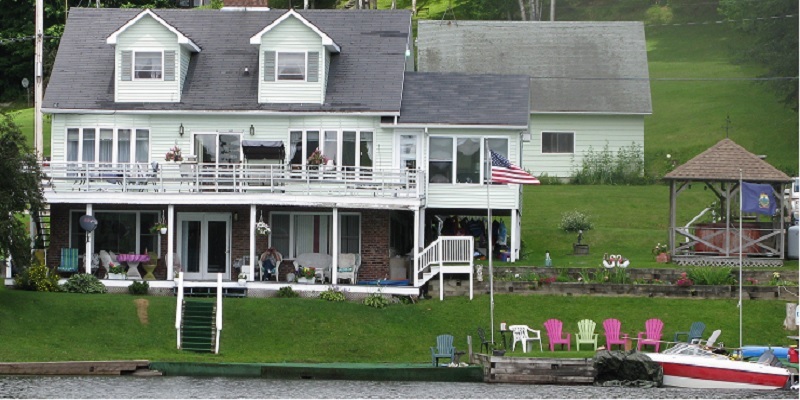 The main living also has a quite sun porch and an open deck to view the lake from. The apartment down stairs has two bed rooms, one bath and a kitchen with its own entrance and covered deck to view the lake from. Both places have Wi-Fi and satellite television. The cabin is a cozy 3 bed room along with a daybed upstairs in a sitting room, along with two baths and a fulling equipped kitchen. 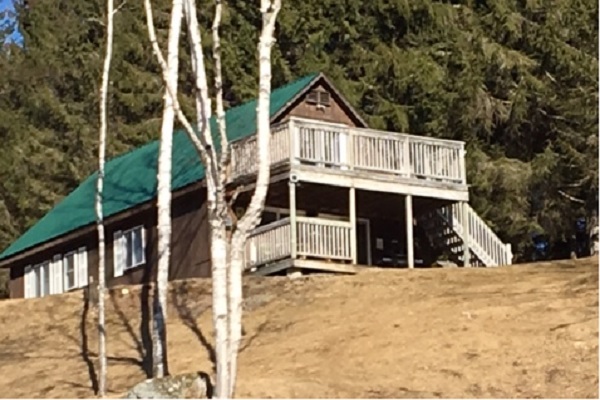 The cabin also has 2 story decks for viewing the lake, which is a short little walk down a set of stairs to a two acre meadow between the lake and the cabin. Cabin has Wi-Fi and satellite television. The luxurious cabin is a 4 bed room with a bunk room, along with two baths and a fulling equipped kitchen. 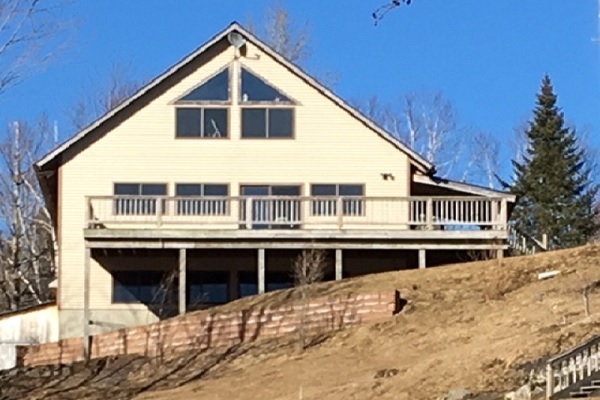 The luxurious cabin also has a beautiful larger deck for viewing the lake, which is a short little walk down a set of stairs to a two acre meadow between the lake and the luxurious cabin. Along with all of the spacious room this cabin has it also comes with a game room, with a pool table for your rainy day enjoyment. Luxurious cabin also has Wi-Fi and satellite television. Shadow lake is a 1.25 mile long 1 mile wide lake. It is one of the last clearest lakes in VT. It offers fishing, boating, swimming in the summer and winter mouths ice fishing among few of the activities.